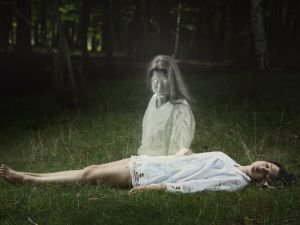 Learn about the signs indicating that you're an old soul that's inhabited other bodies throughout various periods of time. Most recent articles along with themes in regards to Soul. Find out about mysteries, stories along with handy advice in regards to Soul. See the most recent charts as well as write ups in regards to Soul. A lot of people wonder whether death is painful. According to Praagh, during this mystical process the soul simply leaves the burden of the body and feels relief. The phenomenon is linked to experiences such as tranquility and happiness. Millions of people fall into the trap of their comfort zone and even if they have material stability, they do not feel well. This is a clear indication that they are not fulfilling their spiritual mission. Once it has left the body, the soul feels free. Nothing can restrain it. Its thoughts are clear, while feelings are appeased and synchronized. The body that is left behind is nothing more than an empty husk. Science has managed to take a peek into the Sun's soul. For the first time, scientists have observed the Sun's core, analyzing its emissions from neutrino particles. A girl from India, born without fingers on one of her hands, claims that she lost them in an accident in her past life. She clearly remembers how she had got her hand stuck in a meat grinder, after which her fingers were amputated. In homeopathy, disease is not an enemy, but a process that leads to healing and recovery of health. From this point of view, the end result of the disease is the recovered health.